Lead Paint was banned a few years ago, however any home that was built before 1978 might still have lead paint. Although it was banned it does not mean that it doesn't exist in several homes and that also entails that contamination can be caused by a little bit of lead dust. The rule also is for any hospital, child care facility, school or hotel that is being renovated, repaired or painted. 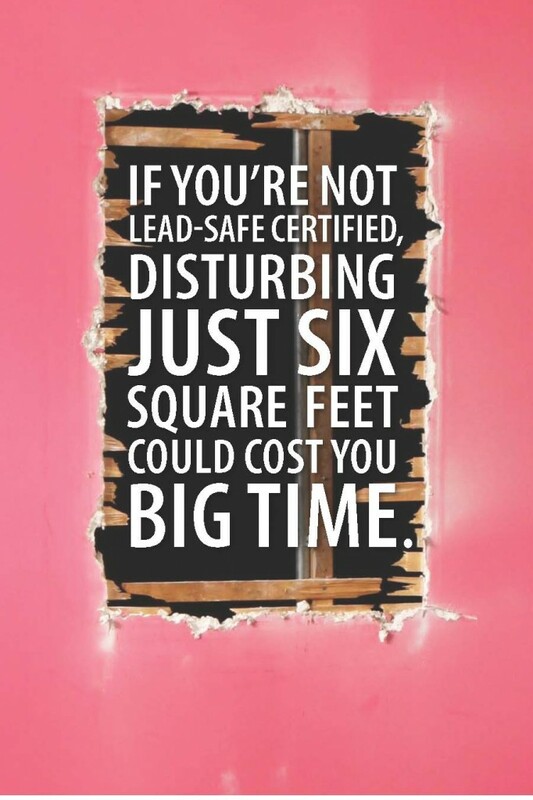 If you are a building manager or will be hiring contractors to perform any renovations or repairs where lead might exist, make sure your contractor is Lead Safe Certified. The United States Environmental Protection Agency (EPA) gives us some tips for hiring a lead safe contractor. buildings built before 1978, and speak to each personally. will be set up, performed and cleaned. If you are hired to work in an area that may contain lead, there are simple steps to get certified. The regulations an standards that are set by the EPA, will reduce the chance of contractors being involved in potential lawsuits. Overall, it is important to hire a lead safe certified contractor because they will use lead safe practices to avoid any lead dust and minimize the risk of lead poisoning. Alliance Environmental is a certified lead-removal contractor. We follow strict procedures to minimize, control and contain the lead dust created by the removal process.Our team is trained in lead safe work practices of proper containment and removal, thorough site decontamination, and lawful disposal.